DAMN. This Kid Just Got into all Eight Ivy Leagues. 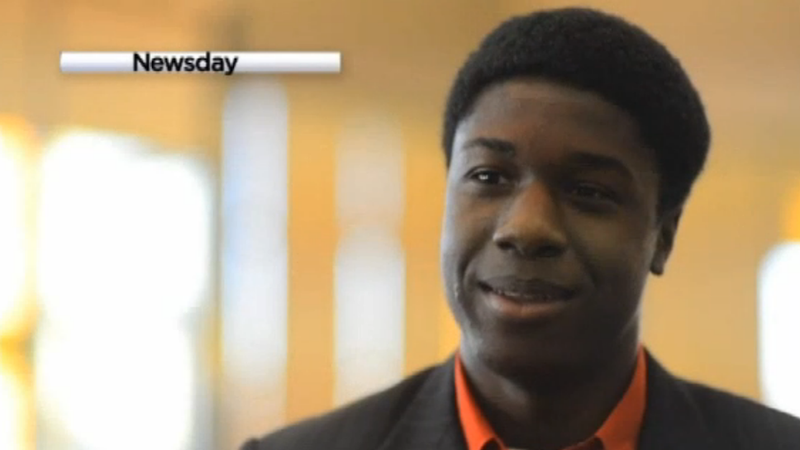 Long Island high school student Kwasi Enin has achieved the impossible: He got into Brown, Columbia, Cornell, Dartmouth, Harvard, Princeton, Yale AND Penn. Not only that, according to NBC 4, he's a first-generation immigrant from Ghana and scored in the 99th percentile on his SAT. I believe it's safe to say that he's crushing the American Dream. Alas, Duke and three schools in the SUNY system rejected him. Kidding! He got into those too. And even though he's obviously way smarter than high school me, or the blogger version of myself who was just tricked by George Takei (April Fool's Day has broken me, you guys), that's not going to stop me from advising him to continue to defy expectations and choose State School. Speaking of which, if this turns out to be a hoax, then I don't know what I'll do. If this is fact true, then let's all congratulate Enin and brainstorm cutesy terms in the vein of EGOT or "hat trick" that encapsulate what he has achieved.